Pauleen was born and raised in Southern California and just recently graduated with a degree in computer science from the University of Hawai‘i at Hilo. She plans to enter the industry as a software engineer as well as attain her master’s degree. 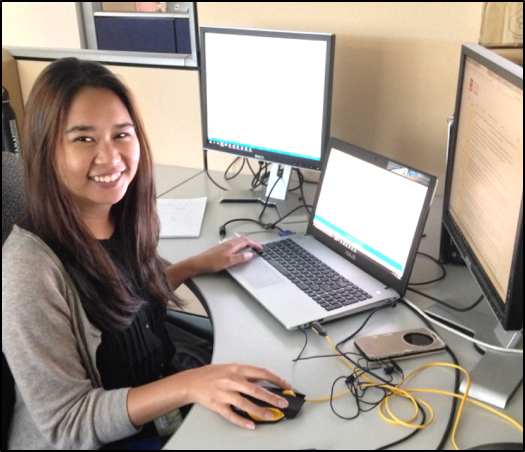 Her current interests lay in data analytics and learning new programming languages. The Theatre Blood Mobile (TBLDM) application is a system to track inventory, donations, and transfusions of blood products in war zones. Sensitive information is stored in databases and transmitted over networks, therefore the security of the application is of high importance. Code analysis tools provide insights into security vulnerabilities and other potential issues with the code, however the outputs from code analysis are in XML and JSON. Because JSON and XML are raw formats that do not provide adequate decision-making utility, a report must be composed detailing the findings from the code analysis tools for mandatory delivery to the U.S. government. The purpose of this project is to automatically generate a user-friendly Microsoft Excel and Word report on security problems and other issues with the code, replacing the current manual composition, for effective decision making by the development group, project management of Akimeka, and Akimeka’s customers. Visual Studio and SonarQube are software products that provide analysis on code and report findings of potential vulnerabilities. A C# program was written to parse the initial analysis report from both sources. Excel and Word templates were created, which the program populates with the parsed data. The updated documents display charts and graphs to visualize the findings. The components created to implement the program will be published as open source software for potential future use by other developers.